The bells are ringing. Houses are decorated with different twinkling lights and children can be heard singing their version "Jingle Bells" in the streets. Gifts are wrapped beneath the tree. People are busy fulfilling wish lists. Well, the season of sharing has just begun. For most people, it's one of the most awaited and best time of the year. This is when they can come to see their relatives and friends who have been away throughout the year. This also the time when they will receive their much anticipated bonuses. The time of year that contains more gestures of generosity. Children are excited because school's out. "May your Christmas sparkle and shine. Celebrate this holiday like a child. Have a great Christmas! and may you feel this happiness all year round." and prosperity this holiday season and in the coming New Year. May the magic of Christmas fill your heart all year long." family and friends to brighten up your life. Merry Christmas!" "May the holidays bring you new inspiration and joy. Wishing you all the happiness of the season in the new year." what mood you're in or what kind of a year you've had - it's a fresh start." and friends to spend this joyous season with. Wishing you a delightful holiday season." and share the meaning with the ones that are closest to you." "Having you as my friend makes me feel as if it is Christmas every day. The warmth and comfort that comes with this season reminds me of you." of your family, friends and loved ones this holiday season." to remind you the magical season that this truly is. and to the ones that matter most in your life." for makes it even more special. We are glad we get to spend it with you!" 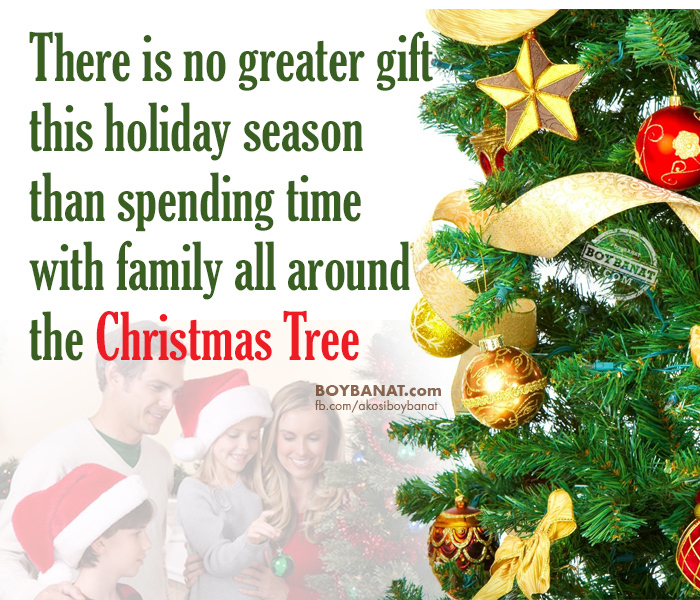 than spending time with family all around the Christmas tree." with the people that you care for most." 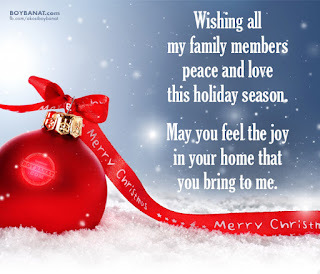 "Wishing all my family members peace and love this holiday season. May you feel the joy in your home that you bring to me." so that’s what I’m doing." to enjoy the magic of the holidays this season." How is your wish list? The Yuletide season is more than packages and bow. Your heartfelt greetings count. 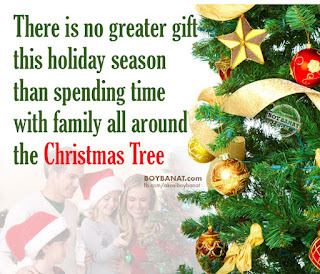 If you have your own Christmas Quotes, you are welcome to share them with us. Don't hesitate to Contact Us. 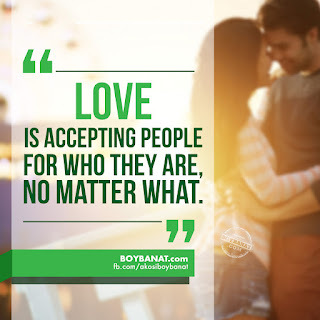 For more reads, just log on to www.boybanat.com or visit Boy Banat Official Fan Page. Happy Holidays!